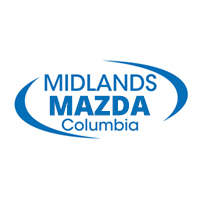 Contact Midlands Mazda in Columbia to set up a test drive today and see how the Mazda technology can improve your drive! Motor Trend says the new Mazda6 is “fun to drive and offers sporty driving dynamics compared to its competitors.” Check out the high-end Grand Touring trim for yourself right now near Irmo at Midlands Mazda in Columbia. Our dealership is open Monday through Saturday, and you can contact us anytime.